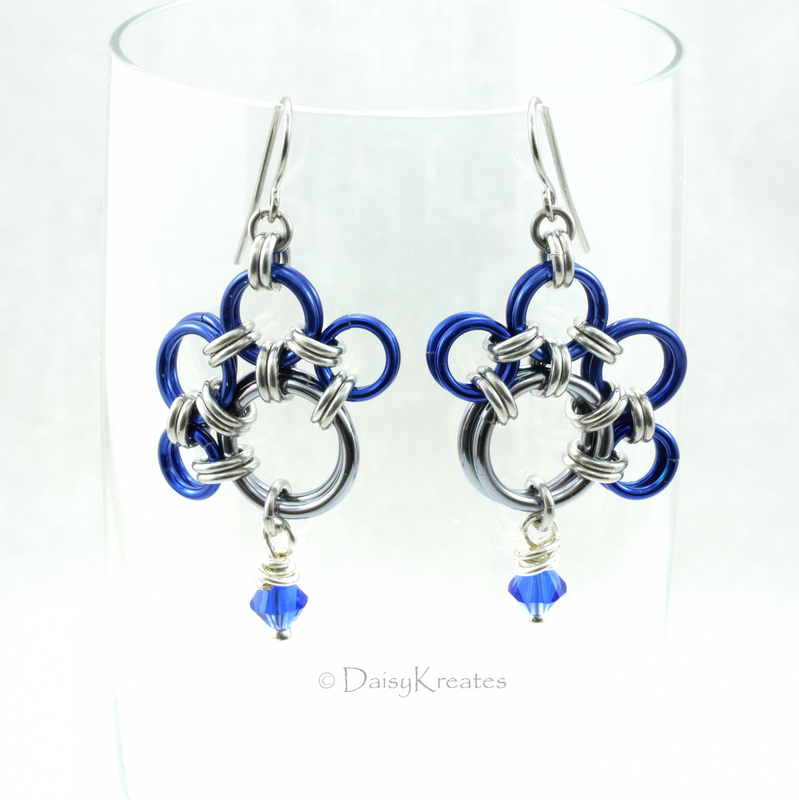 Presenting a lovely pair of PawPrints earrings in majestic blue and silver grey in celebration of all the Blue Noses who grace our lives! 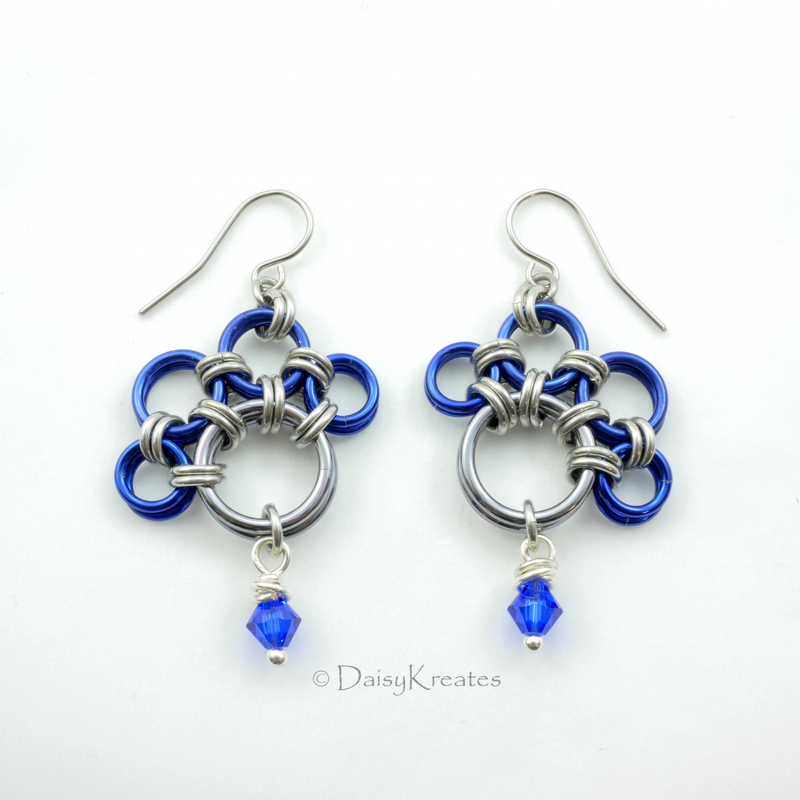 Well known for their grey coat so shiny that it looks more blue than grey, my own blue girl inspired me to create the color pairing of navy blue and black ice gray for this pair of earrings. 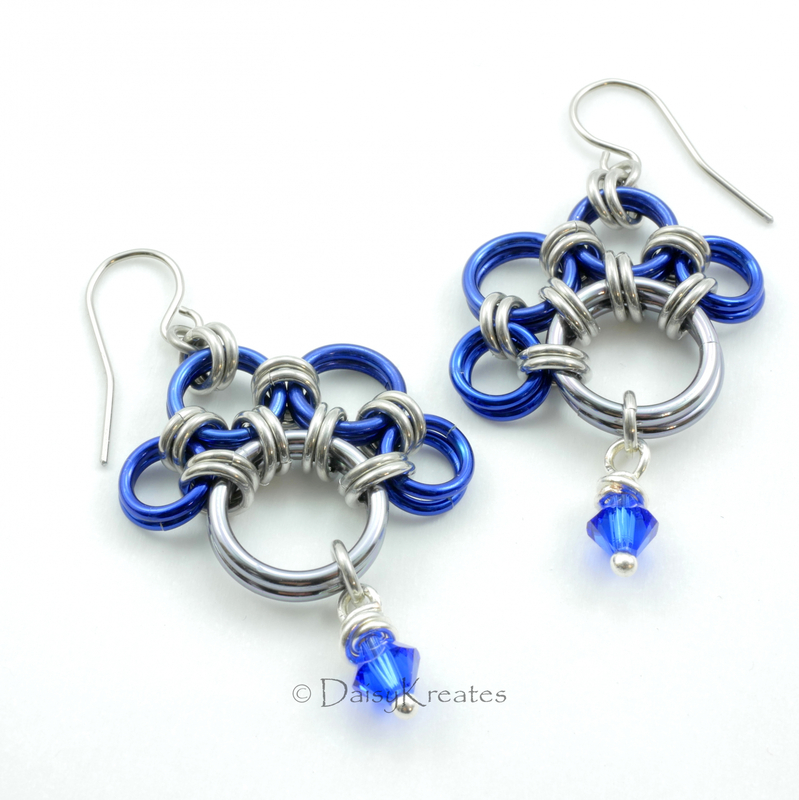 Made with anodized aluminum and bright aluminum, these earrings are light weight, require no on-going maintenance. The Majestic Blue Swarovski crystals echos the dark blue rings for the "toes", adds a touch of whimsy for the fun nature of all the blue boys and girls. Visit the PawPrints Collection for other color ways and jewelry styles. 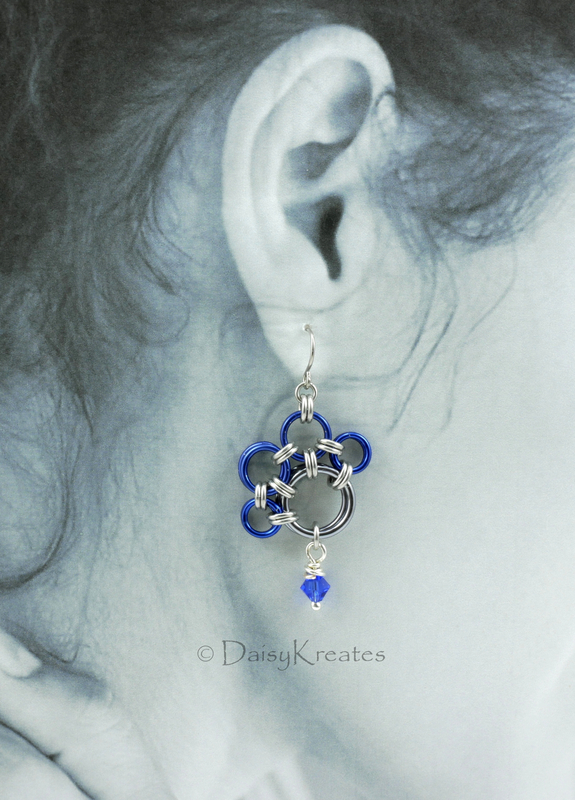 © 2015-2019 DaisyKreates Artisan Jewelry. All rights reserved.